When work rains, it pours. If you’re working in an office, you probably already know that all too well. In fact, your pile of work to be done can be so overwhelming that you simply can’t leave it for five minutes or so…you’ll just have to wait until your one-hour break, right? Wrong. Starving yourself as you work will lead to more than just an unbalanced diet. It will ultimately cause improper pH balance of your body, and I bet you haven’t heard of that until now. Why should I even care about my pH balance? I’ve got work! Let me tell you why. 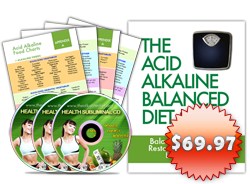 Your body’s pH levels tell you how much acid or alkaline your body has. 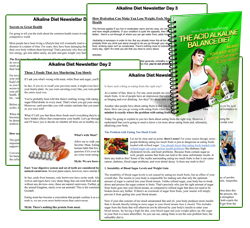 In its natural state, your body is naturally alkaline—until you get exposed to a number of factors that contribute to the acidity in your body. Pollution and unhealthy foods—both of these make your body a lot more acidic than is allowable. And did I mention stress? Yes, stress from working long hours in the office without eating healthy makes your body acidic. If your body’s in an acidic state, not only does it tend to get less efficient, you’re also thrown with a slew of undesirable consequences. For one, your cholesterol levels go up the roof, and you well know what that can do to your heart. You tend to get sluggish (and that explains your excessive need of coffee at any time of the day) and worse, you can get down with a number of conceivably petty but harmful diseases: headaches, colds, fatigue, indigestion, acne, and flu among many others. So you see, an improper pH balance will ultimately lead to you not being able to continue working, much less go through an 8-hour shift with efficiency! Okay, you’ve made your point, now what do I do? The solution isn’t exactly rocket science. In fact, you can solve your problem without leaving your office desk. All you have to do is to simply alkalize your body. 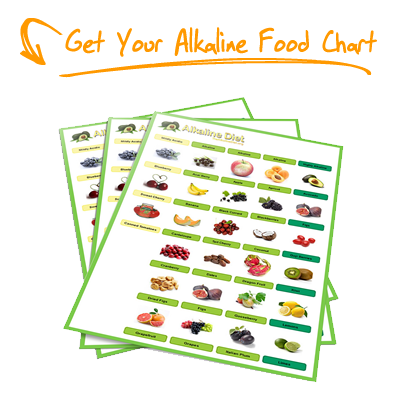 To offset the acidity of your body, you need to take in more alkaline. You’ll be surprised at how many alkalizing foods you’ve been ignoring! Let’s start with what you eat in the office. Stock up on green vegetables as they are easily one of the most alkaline foods there are. They’re surprisingly easy to prepare, as fresh uncooked vegetables can easily be brought to the office. Steamed veggies are just as alkalizing—not to mention that they don’t make such as mess on your office table, unlike your highly acidic processed junk foods. If you’re not a fan of green and seemingly raw vegetables, you can opt for the next best green thing: salad with light dressing and preferably no cheese. You’ll be surprised at how refreshing they are once you eat it during your self-imposed five-minute break. You might also want to toss in some fruits (lemons, avocadoes, tomatoes should top your list) to make the meal even more alkalizing. Now that you know what to eat more, let’s go to your drinking habits. Ideally, you ought to consume 4 liters of water daily—and we’re not talking about just any kind of water here. Tap water is usually mixed with chemicals like chlorine, which heavily contributes to your acidic state. Distilled water, on the other hand, are naturally acidic and has lost its alkalinity as through the purification process. The best option is ionized water, which oxygenates your body and flushes out the toxins in your body. Sounds good? The better news is that you don’t even have to spend a lot for it. There are ionizers in local markets that are available for a cheap enough price. Small portable ones, which will allow you to take glass or two as you work, should fit perfectly on your office table. The last tip can be difficult, especially if you consider your work as the paramount example of tension: reduce stress. You can do this by meditating or breathing exercises. As I already mentioned, stress heavily factors in the acidic state of your body. Take a few minutes off if you find the pressure honestly overbearing. Helpful techniques such as yoga, meditation and exercise have helped people deal with stress coming from the office. Take your pick, and you’ll be surprised at how easily you can deal with work afterwards. As you can see, alkalizing your body and maintaining a proper pH balance is perfectly possible as you work industriously in your office. In fact, the two can go hand-in-hand, if you follow the tips I shared closely enough. Enjoy alkalizing! Ive been looking for a way to stay alkaline for a while and even tried taking baking soda for weeks which did work by the way but you had to take it on an empty stomach so I stopped after a while then by accident came across MSM for my arthritis and Im now taking 2000 mgs a day and just noticed my PH was 7.5. Just hope in time it helps my arthritis, Im not gettin any younger- 60 in Jan 2014 Hope this helps you all.